Presentation of topics is approximately 45 minutes, with some additional time allowed for discussion. 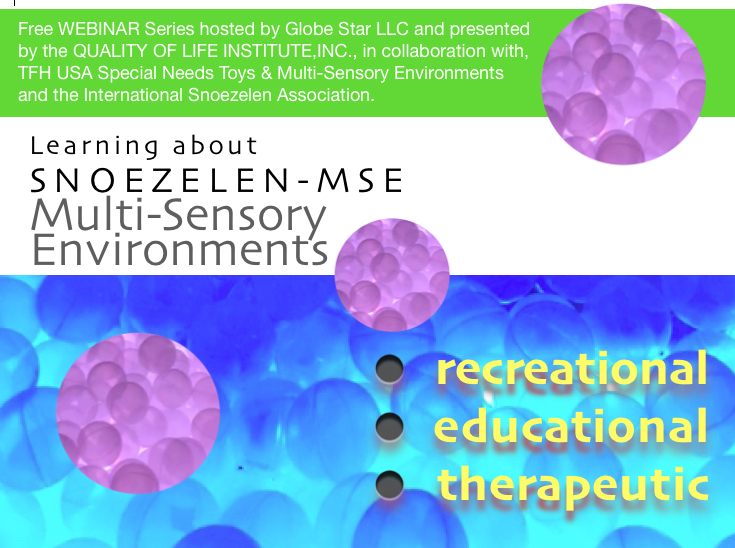 These sessions are provided as an educational service to promote the potentials and possibilities for quality of life outcomes, when working with others in multi-sensory environments. All are welcome. Registration is free. 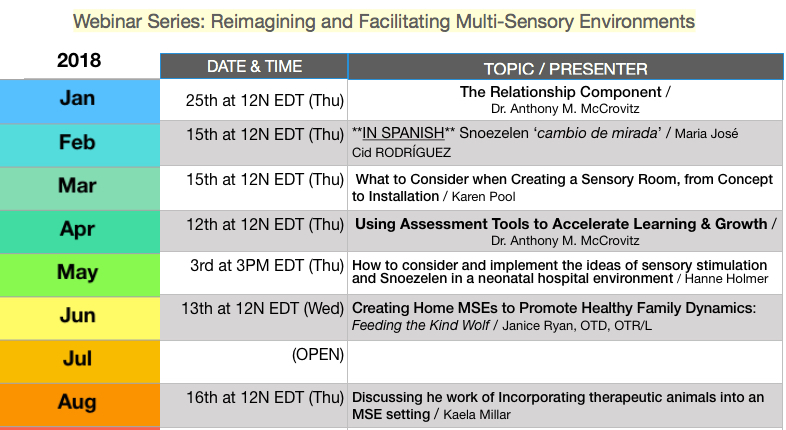 How do we identify our role and capacity as a mentor in a multi-sensory environment? How does cultivating one’s inherent sense of curiosity lead processes of discovery? What does the interaction between the Individual and the parent or professional look like within the multi-sensory environment? As we learn how to assess ourselves and how we use “our tools” (hands, eyes, words, presence), we can become skilled in laying a foundation for a relationship that cultivates intrinsic worth and nurtures what the heart can know and understand. Understanding the active relationship component supports our focus in working toward quality of life outcomes. These outcomes not only provide the needed structure, level of engagement, ability to challenge, and nurturing; mentoring a spirit of gentleness encourages an Individual to discover and reclaim their heart’s own, intrinsic curiosity and sense of wonder through this collaboration of learning and growing together. 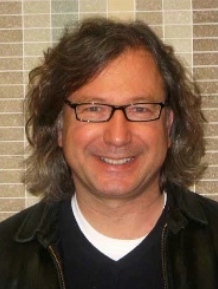 Dr. Anthony (Tony) M. McCrovitz is an assistant professor with the Department of Behavioral Science at University of Saint Francis in Fort Wayne, Indiana. For nearly three decades, Dr. McCrovitz has worked with individuals and their families to improve their overall quality of life, introducing and implementing Gentle Teaching-based frameworks of support that encourage and guide others in overcoming barriers of community integration. He is the founder and Executive Director of the Quality of Life Institute, Inc., and co-founder of Globe Star, an agency in Indiana, where, over the course of many years, he developed a Quality of Life Model of Services, based on the principles and practices of Gentle Teaching. He initiated this instructional series to help give worldwide access to those wanting to learn about the Snoezelen-MSE approach by exploring the therapist’s role in multi-sensory environments. 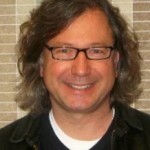 He serves on the board of the International Snoezelen-MSE Association, and presented “Exploring the Therapist’s Role in a Multi-Sensory Environment: a checklist of tools and supports for the mentor who is implementing a Snoezelen approach,“ at their most recent annual conference, held in Quebec. He also serves on the Board of Gentle Teaching International. He is President of the Indiana Professional Counseling Foundation (IPCF),a past president of the Indiana Counseling Association.